I could tell Ben Sachs was a lawyer every time he jumped to his feet during our kids’ games shouting “INTERFERENCE!” like he was the Perry Mason of softball. As a professor of labor and industry at Harvard Law School and the co-founder of OnLabor, a blog devoted to workers, unions and politics, Prof Sachs and his contributors provide guidance and perspective on the union movement and new forms of worker organization. During the less exciting innings (there may have been a few), we got to talking about how his very popular site, OnLabor.org, needed a redesign and an opportunity to refocus. This got me thinking about how brand value is continuously evolving yet we often resist opportunities to evaluate it. 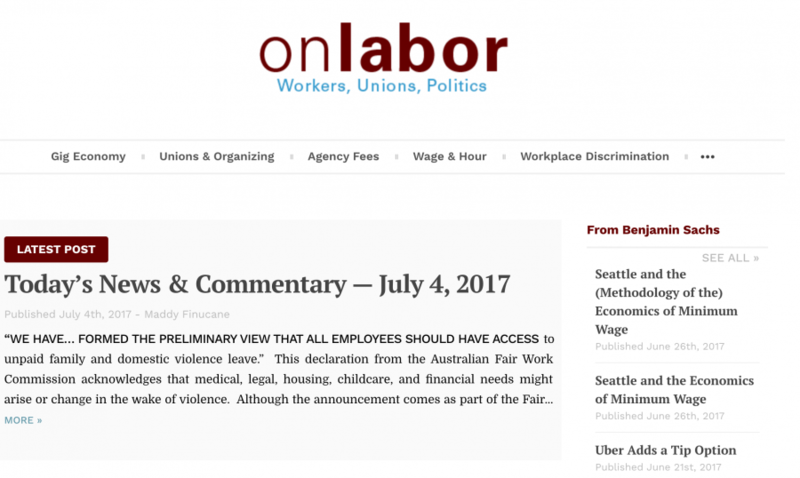 The OnLabor.org blog had grown quickly to over 800 posts including a popular daily News and Commentary vertical that provides a snapshot of the latest business and legal issues. The consistently good content nurtured a loyal audince that included 2300+ Twitter followers – most very prominent journalists, academics and political influencers. Successful? Absolutely. Important? Yes. Delivering value in a way that can show a long-term view, reveal interesting patterns and reflect how daily decisions are shaping the impact on society? Not so much. splinter the content and allow many users/customers to define what is the most valuable to them. For OnLabor, several years of content had grown beyond the single audience as evidenced by the Twitter followers. It had value for many audiences — each one of which could define the value slightly differently. The excellent, consistent content, the depth of the thinking and the broad range of topics created an opportunity for followers to forge a trust relationship with the specific content, topics or authors that were most relevant to them. Too often, the redesign process begins with metric-based goals rather than a value alignment exercise. Yes, you need goals. Marketing goals are based on your brand value. If you aren’t telling the right brand story, a new homepage or navigation will not fix it. The redesign process must first begin with an assessment of the brand value with the audience(s). Do you stick with who you have, address the accidental audiences, expand to new audiences or narrow in on a specific segment? What value do you bring and who loves your brand? Which users are you designing for? Brands pressured for time and still smarting from the major investment in a new site try to avoid a full redesign and messaging exercise by framing it as a slight “refresh” or “facelift.” This mindset ignores the more important opportunity — to realign the value and brand story. 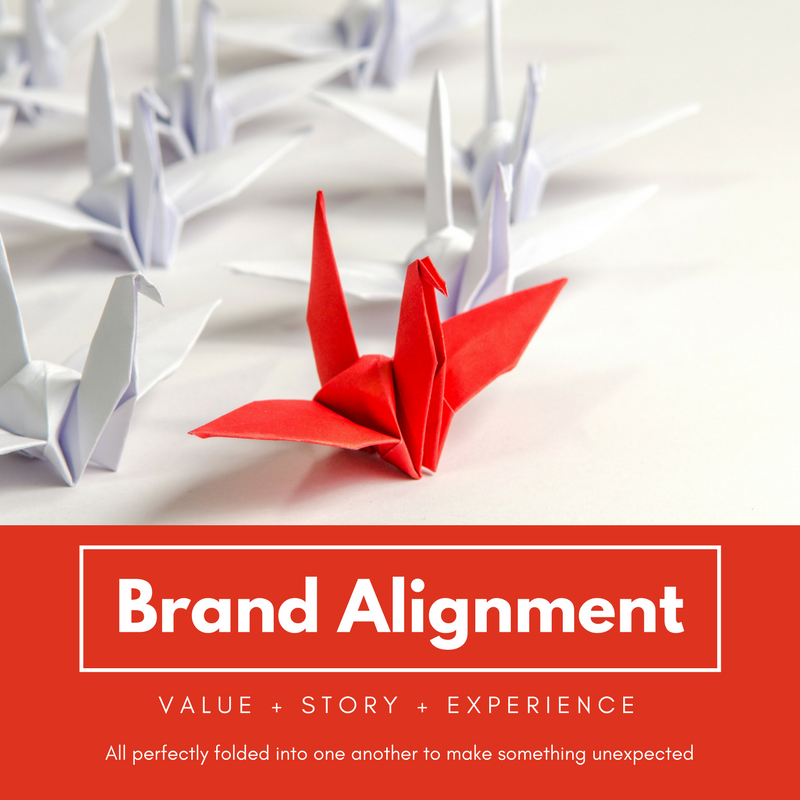 Continuous alignment ensures brands are relevant. Is the audience we have today the one we want? Will there be any changes to the content (the service) we provide? How should the brand experience change to reflect the value? The new OnLabor.org has a lot less interference. It stayed true to its brand value and made it easier for followers to engage with the rich content. More importantly, it went through the tough exercise of evaluating and re-categorizing content to show how deeply they cover issues related to labor. In terms of effort, the redesign was likely more work than the original launch because it required deep, strategic thinking on how the brand experience and brand value were interrelated. The brand is set to continue to grow, confident it’s on the right course. For an evaluation of your brand value and brand experience, feel free to email Kim Donlan, founder and chief strategist, RedSwan5.